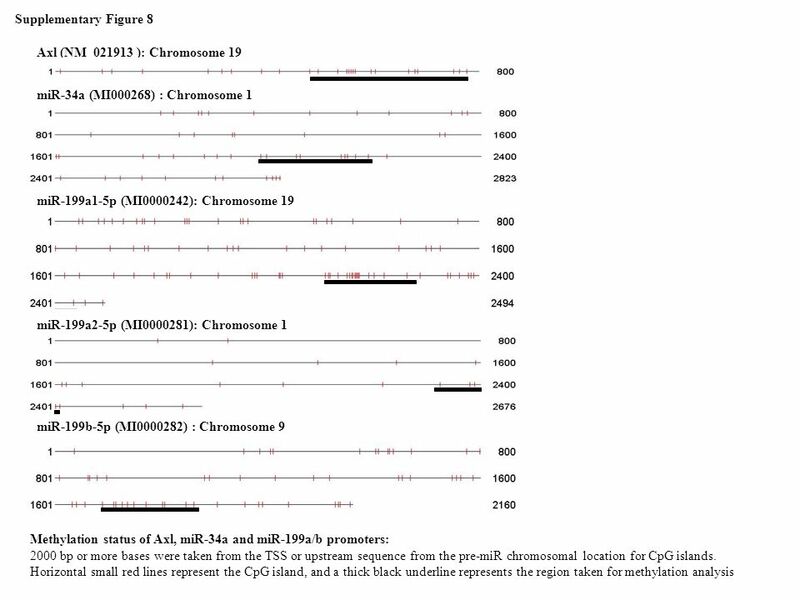 c-Met Notch 1 HIF1 a β-Actin 1: Control-miR 2: PM-miR-34a 3: PM-miR-199a H1299 and Rko cells were transfected either with miR-34a or -199a. After 48h, protein was isolated and Western blot analysis was performed for c-Met, Notch 1 and HIF1a. β-Actin served as internal control. 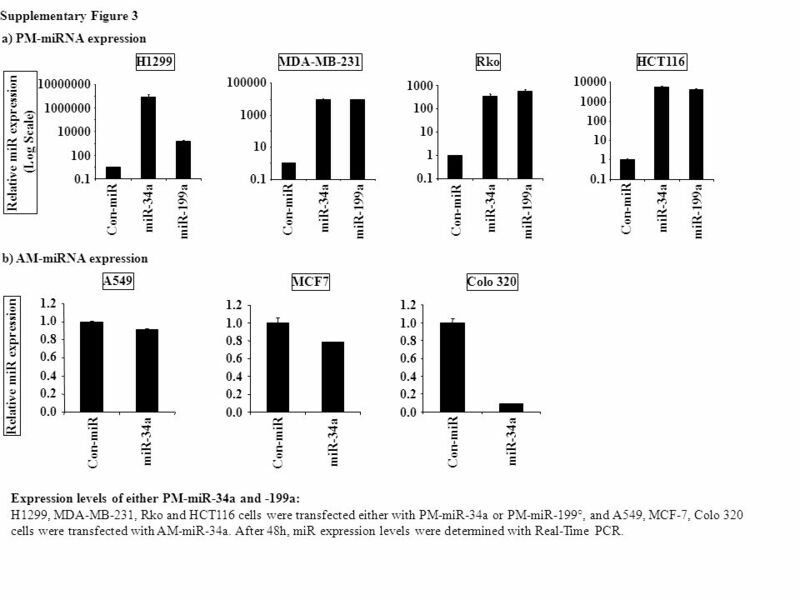 Supplementary Figure 3 a) PM-miRNA expression H1299 0.1 10 1000 100000 Con-miR miR-34a miR-199a MDA-MB-231 0.1 1 10 100 1000 Con-miR miR-34a miR-199a Rko 0.1 1 10 100 1000 10000 Con-miR miR-34a miR-199a HCT116 Relative miR expression (Log Scale) 10000 100 0.1 Con-miR miR-34a miR-199a b) AM-miRNA expression A549 MCF7 Colo 320 1.2 1.2 1.2 1.0 1.0 1.0 0.8 0.8 0.8 0.6 0.6 0.6 Relative miR expression 0.4 0.4 0.4 0.2 0.2 0.2 0.0 0.0 0.0 Con-miR miR-34a Con-miR miR-34a Con-miR miR-34a Expression levels of either PM-miR-34a and -199a: H1299, MDA-MB-231, Rko and HCT116 cells were transfected either with PM-miR-34a or PM-miR-199°, and A549, MCF-7, Colo 320 cells were transfected with AM-miR-34a. 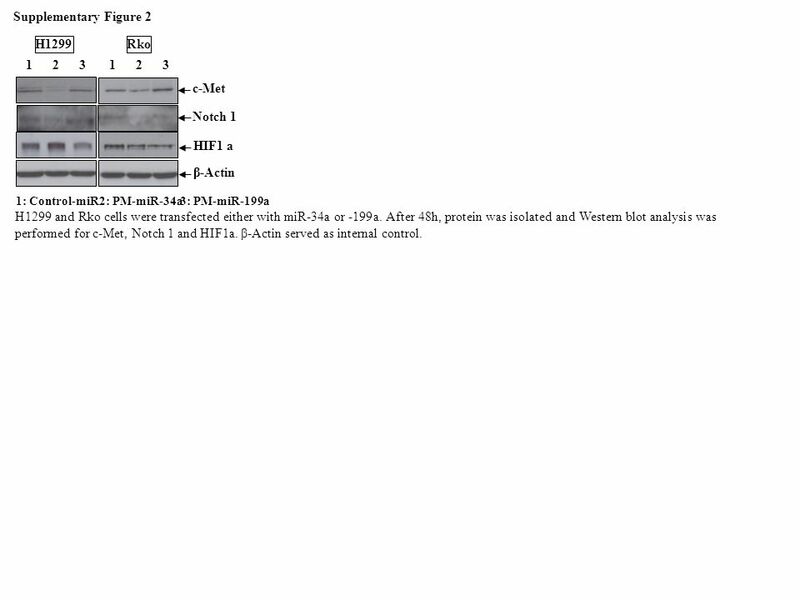 After 48h, miR expression levels were determined with Real-Time PCR. 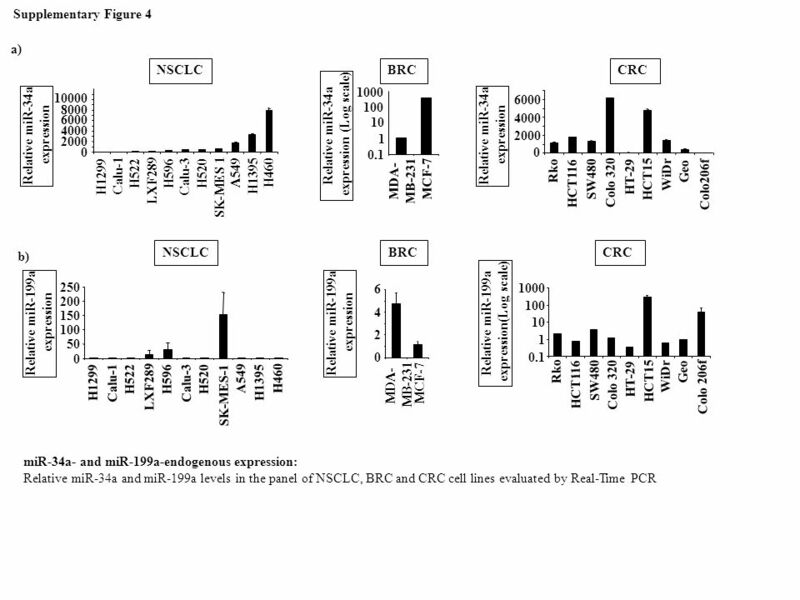 Supplementary Figure 5 NSCLC BRC CRC a) 50 100 150 200 250 300 0.1 1 10 100 1000 MCF-7 MDA- MB-231 10000 400 800 1200 1600 Rko HCT116 Colo 320 HT-29 WiDr Colo206f SW480 HCT15 Geo Relative Axl mRNA expression Relative Axl mRNA expression(Log scale) Relative Axl mRNA expression H1299 Calu-1 H522 H596 Calu-3 H520 A549 H1395 H460 LXF289 SK-MES 1 b) NSCLC BRC CRC 0.0 0.4 0.8 1.2 H1299 Calu-1 H522 LXF289 H596 Calu-3 H520 SK-MES 1 A549 H1395 H460 1 2 3 MCF-7 MDA- MB-231 1.6 1.2 0.8 Axl Protein ratio: (Axl/Actin) Axl Protein ratio: (Axl/Actin) Axl Protein ratio: (Axl/Actin) 0.4 0.0 Rko SW480 HT-29 WiDr Geo HCT15 Colo 320 HCT116 Colo206f c) Axl β-Actin 130 kDa 43 kDa 1)Calu 3; 2)A549; 3)H460; 4)H520; 5)LXF-289; 6) H1395; 7)Calu1; 8)H596; 9)H522; 10)SK-MES-1 11)H1299; 12)MDA-MB-231; 13)MCF-7; 14)Rko; 15)HCT116; 16)SW480; 17)Colo 320; 18) HT-29; 19)HCT15 20)WiDr; 21)Geo; 22) Colo 206f Axl endogenous expression in NSCLC, BRC and CRC cell lines: a) Relative Axl expression in the panel of NSCLC, BRC and CRC cell lines evaluated by Real-Time PCR, β-Actin served as internal control. b) Axl densitometric Western blot analysis. The density ratio of Axl/-Actin is represented as a bar graph. 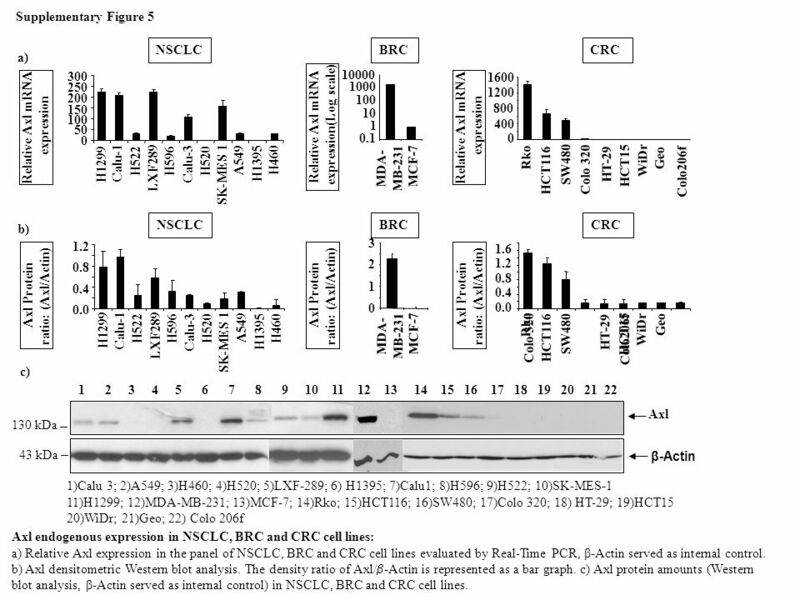 c) Axl protein amounts (Western blot analysis, β-Actin served as internal control) in NSCLC, BRC and CRC cell lines. 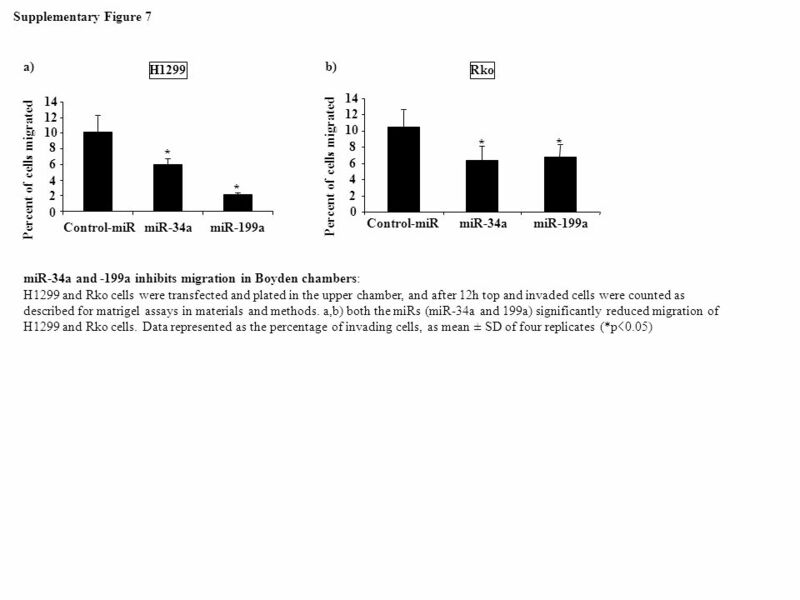 Supplementary Figure 6 a) Axl-protein vs invasion b) miR-34a-expression vs invasion c) miR-34a-expression vs Axl-protein Axl protein expression Invasive ability R= 0.41; p=0.03 Log[miR-34a expression] Axl protein expression R= -0.81; p<0.01 Log[miR-34a expression] Invasive ability R= -0.75; p<0.01 Correlations between invasion, miR34a- and Axl-endogenous expression in NSCLC cells: a) Axl protein vs invasion, b) miR34a-expression vs invasion, c) miR-34a expression vs Axl protein in a panel of NSCLC cell lines (p-value is from Spearman’s correlation test). 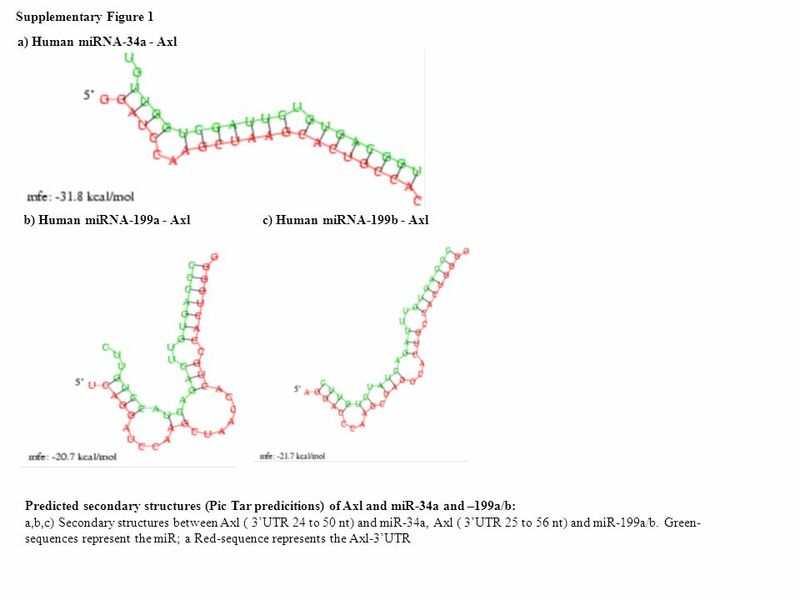 Download ppt "Supplementary Figure 1 a) Human miRNA-34a - Axl"
Supplementary Figure 1. 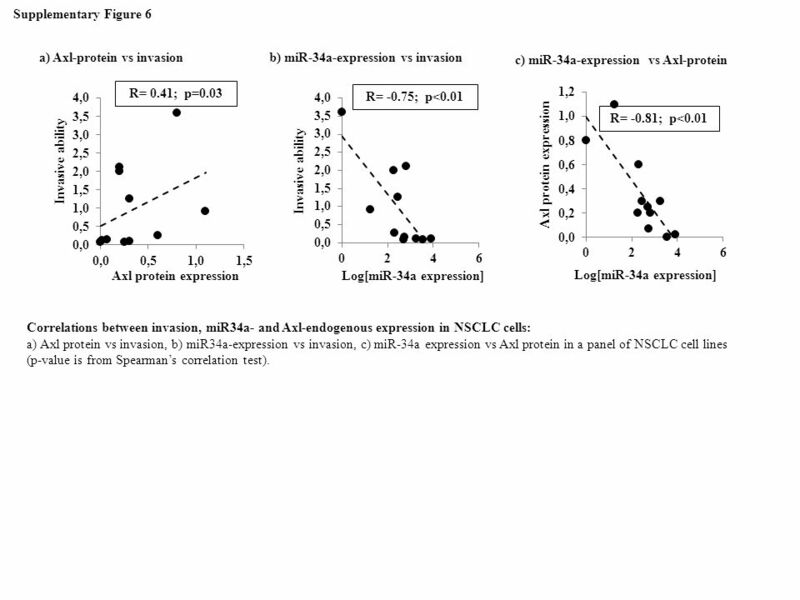 Caspase 8 expression and activation and Fas expression in NSCLC and normal lung cell lines. A Western blot analysis of DR4 and.